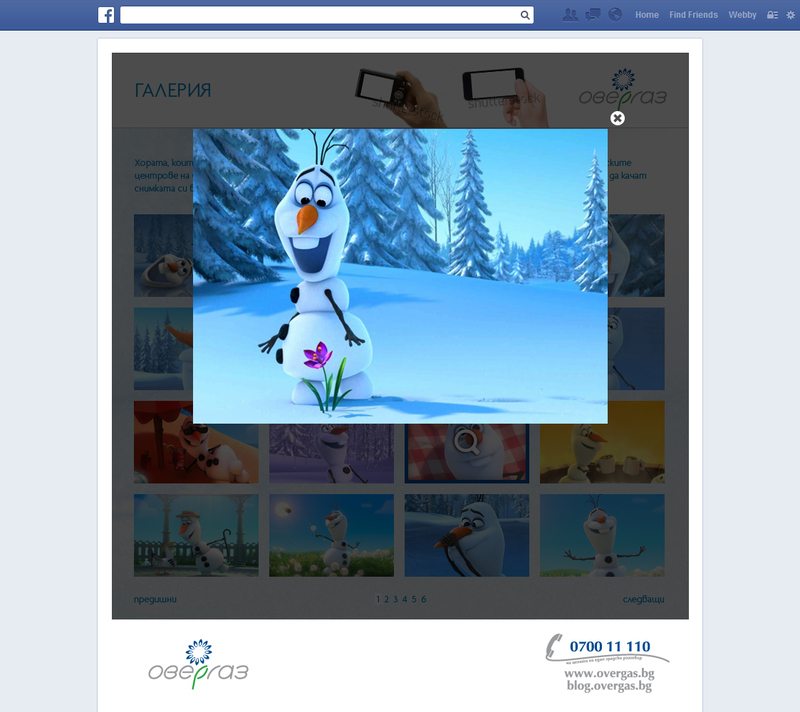 Design and development of the Facebook application Take a photo with Olaf for Overgas. 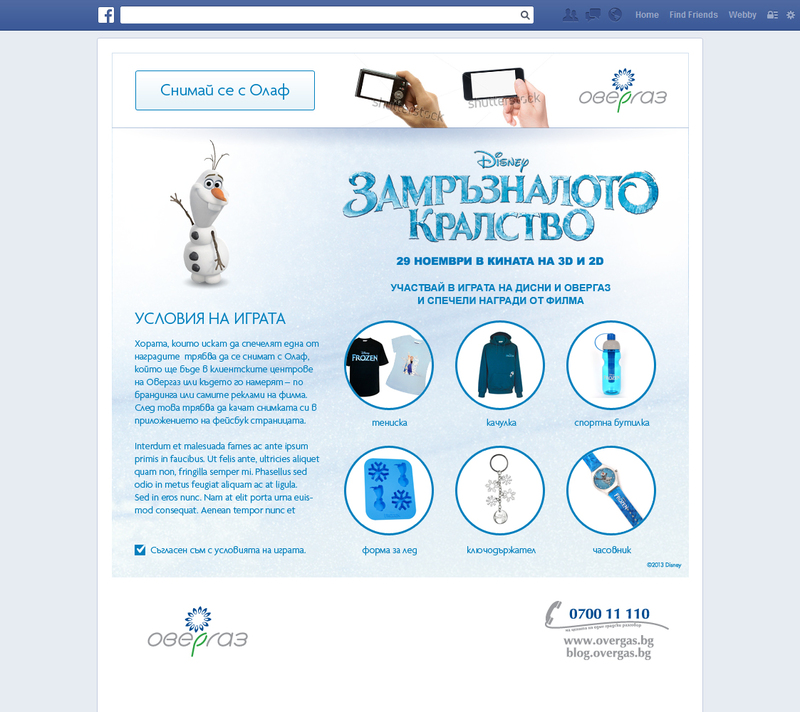 The Facebook app was part of Overgas winter product campaign. 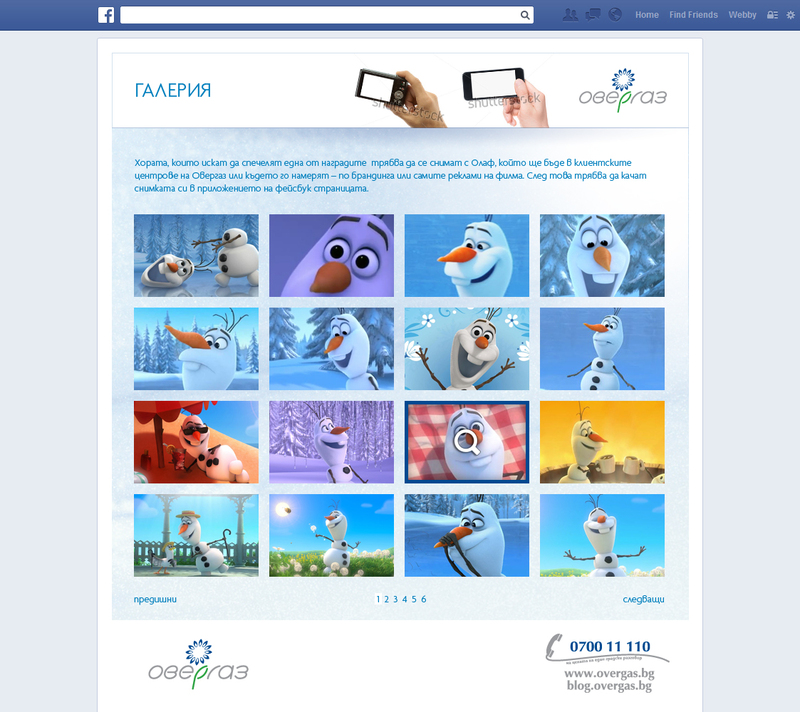 Users had to like Overgas Facebook page and upload photos with Olaf, a character in Disney’s 2013 animated film Frozen, in order to participate in the game. We have also activated automated postings on users’ Facebook walls. 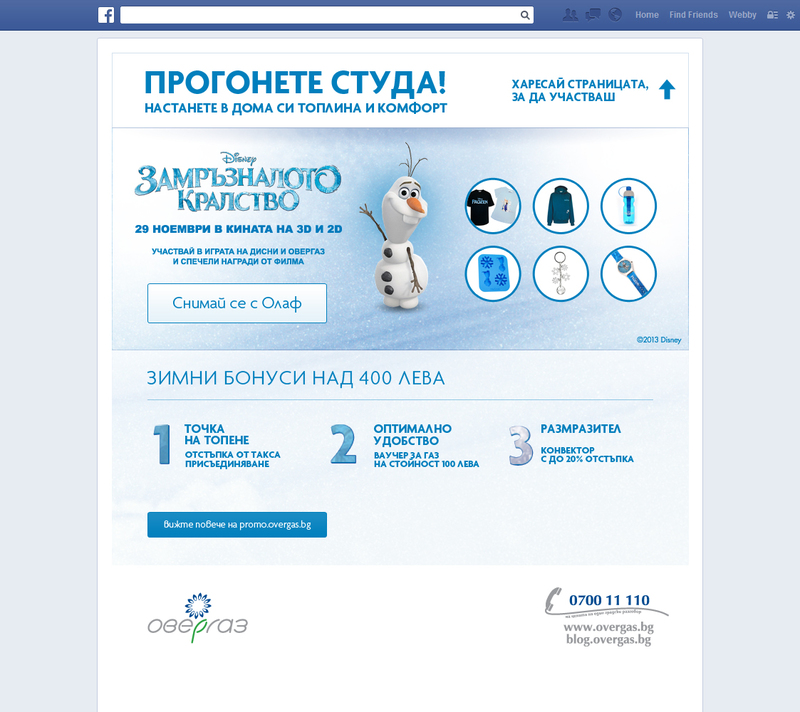 The app was supported with Facebook ads which increased users engagement.